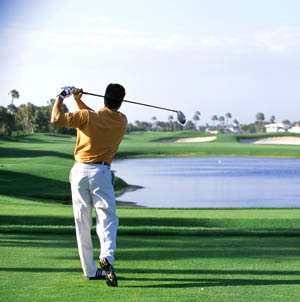 Deep down inside, every golfer knows what it means to swing effortlessly. You know that time when somehow the club head meets the ball in such a way that the ball lifts and flies, with no effort at all. The EffortlessSwing® approach for optimal golf demonstrates to the golfer how he/she can become a more consistent, focused and powerful golfer by learning to use minimum effort for maximum gain. Do you hold your breath when you address the ball? Do you clench your teeth and grip the club way too tightly? Your worst enemy could be yourself! The EffortlessSwing® approach is a series of movement/awareness lessons designed to bring every golfer back to his/her natural, easy movements known before age, injury, and stress interfered. As a participant you are guided through specialized movement lessons out of the context of their golf swing and performed on a mat or in a chair. The sequences are designed to create optimal neuromuscular-skeletal organization that ease posture and supports more spinal movement. The process heightens ones focus, attention and curiosity and an inquiry process necessary for the golf game. The attention to HOW you move (away from learning the skill of the swing) as well as the actual movements of the lesson transfers into better balance, alignment and timing for the golf swing. Golfers at all levels find benefits. This includes the scratch golfer who takes time to study the game, the new golfer experiencing difficulty with his/her swing, and the pro, constantly looking for new venues to improve. Bonnie Kissam, M.A. in Physical Education created The EffortlessSwing® approach in 1992 when she found her golf game improve after two summers of realignment using the Feldenkrais Method®. The program is a useful tool for all golfers who are interested in ‘fine tuning’ their art and improving their focus, consistency and power. Learn ways to develop a ‘feel’ for each shot. 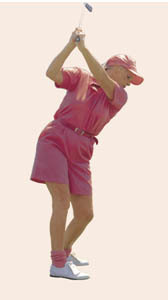 With The Effortless Swing® approach, the golfer finds him/herself reproducing a natural, easy swing, more consistently. The golfer’s alignment, balance and weight shifting abilities improve as he/she revives his/her natural, optimal, movement coordination. The EffortlessSwing® approach enhances rehabilitation from an injury with a mind-body approach which raises one’s ability beyond previous limitations – through continuing the learning process. Order NOW! 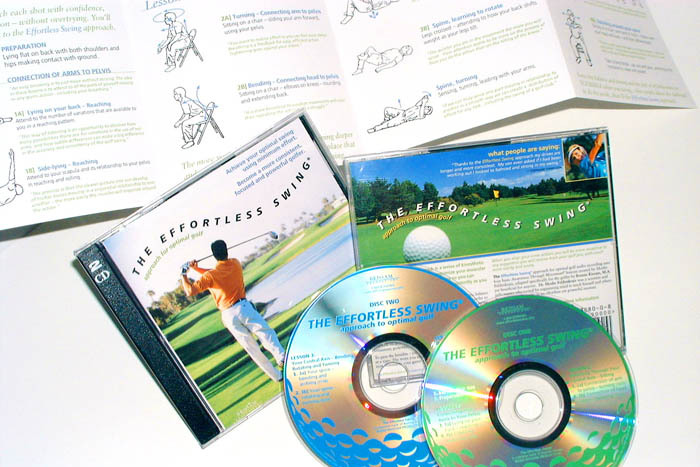 The Effortless Swing® Approach – an audio recording with a little booklet to be your guide. ORDER NOW – DOWNLOAD IMMEDIATELY!